It is called The Common Core Organizer, Assessment Guide and Portfolio for 2nd grade for Math and Literacy and it contains over 200 pages. 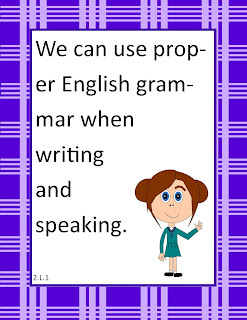 Here’s a little blurb about it from TPT: The Common Core Organizer, Assessment Guide and Portfolio for Second Grade Literacy and Writing is full of tools that you can use to teach and assess second grade Common Core ELA skills to your class throughout the school year. This packet is a great way to help you organize your students’ language arts portfolios, as well as your own. This packet has posters, dividers, Common Core checklists and also some assessment tools that you can use. 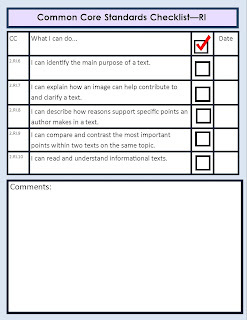 For some of the assessment tools, you only need to add your own appropriate text and they can answer the questions. Make sure you read more about this comprehensive packet by clicking here. Here are a few more sheets you can look at to see if this packet is right for you! For this same booklet for third grade, click here. Also, I’ll be working on some different grade levels, so make sure to follow my store so that you will be informed when they are released. You can follow my TPT store here.